In the area of financial planning two areas come up frequently for the average person: banking and retirement planning. While your bank may be an afterthought, the way your bank treats you and protects your funds can play a big role in the process of building wealth. 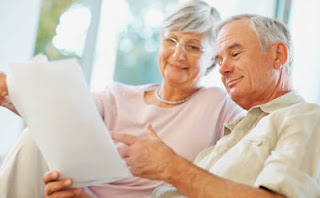 In the area of retirement planning, there are some steps that you can take now to improve your chances of being able to retire comfortably when you reach the appropriate age. When choosing a bank to work with, you need to pay special attention to the types of fees that they charge. Banks are notorious for charging fees and many of these can be avoided. For example, some banks charge you a fee if the balance of your account falls below a minimum amount. Others charge high fees when you bounce a check or when you make payments with their online bill payment tool. Before agreeing to work with any bank, get a copy of its fee schedule. By getting this information, you can shop around with various banks to find the best checking account rates and make sure that you are getting the best deal available in your area. 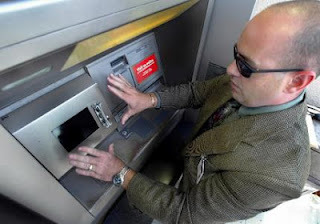 Another issue that commonly affects consumers is ATM skimming or identity theft. This process involves an identity thief who installs a very small card reader into an ATM machine. 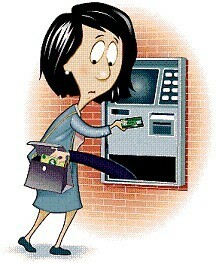 Then when a customer puts his ATM card in the machine, the device reads the magnetic strip on the card. At that point, the thief can potentially use your ATM card to make purchases or withdraw money from your account. If this happens to you, you need to work closely with your bank to make sure that the damage is minimized. If you report the illegitimate charges on your account within two days, you are only liable for a maximum of $50. If you report the illegitimate charges somewhere between two and 60 days, you are liable for up to $500 of charges. Beyond 60 days, you are liable for any charges that are not reported to the bank. This means that you need to regularly check your bank statements to make sure that no one has accessed your funds. Otherwise, you could be found liable for these charges. If you manage to save as much money as possible on banking usage, it can provide you with additional funds to save for retirement. In the area of retirement planning, it is important to choose the right vehicle to use for your retirement savings. There are a number of different types of retirement accounts that you can use for saving purposes. For example, the IRA, Roth IRA and 401k are popular choices in this area. With the IRA and the 401k, you get to set aside money on a pre-tax basis and invest it for your retirement. With the Roth IRA, you invest with after-tax money and then do not have to pay taxes on investment gains. By using this strategy, you can maximize the amount of money that is available to you once you hit retirement age. Using the Roth IRA makes it possible for you to hedge your bet against higher tax rates in the future. With the national debt increasing every year, it seems like an inevitability that the government will have to increase tax rates over time to pay down the debt. If you have a Roth IRA with funds in it when you retire, you won't have to worry about what the tax rates are in the future. By using the tools that are available to you now, you can increase your chances of enjoying a comfortable lifestyle once you reach retirement age.